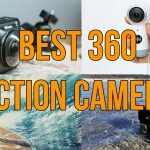 Home » 360° Camera Comparisons » Yi 360 VR vs Xiaomi Mijia Mi Sphere: Which should you choose? The Yi 360 VR and Xiaomi Mijia Mi Sphere are two of my favorite 360 cameras, but for completely different reasons. What do they have in common? For a start they are both developed by Chinese companies who are quickly becoming international tech giants. 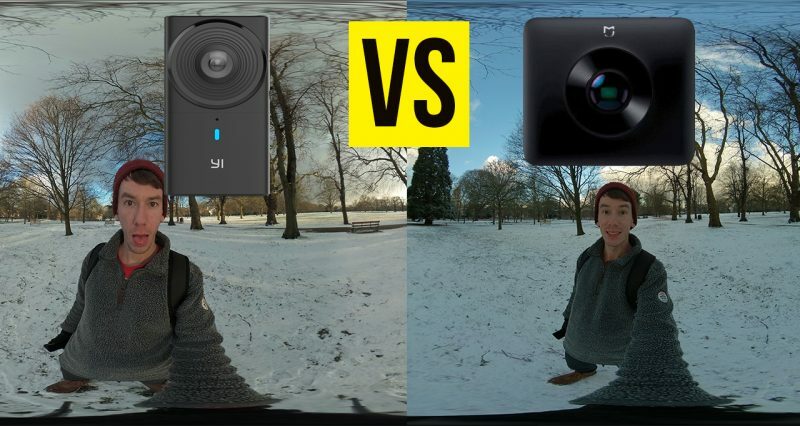 Apart from that there is are very little similarities, so which one is the better 360 camera? Let’s take a look at the specs and analyse each cameras’ capabilities against the other. The Yi 360 VR can shoot 5.7K 360 video, which is the highest resolution video of any 360 camera under $1000 (along with the VIRB 360). Larger resolutions are good for 360 videos because they require more pixels to look sharp, but lens quality is still very important. The Mi Sphere features some very good optics and has been proven to provide excellent dynamic range and light balance. When the Mi Sphere was first released it could only shoot 3.5K resolution video, but a software update has upgraded this to 4K which brings it in line with most modern 360 cameras. The Mi Sphere shoots comparatively lower quality video, mostly due to a lower resolution and bit rate. Never the less it’s still a very good video camera with excellent dynamic range and light balance. All three cameras perform quite well, but there are several obvious differences. The Yi 360 is more detailed with realistic lighting, whereas the Mi Sphere appears darker with a lot more contrast. The video from the Yi will look better when viewed on a larger screens thanks to its higher resolution, otherwise you”ll need to choose which style you prefer. One of the best 360 cameras for video capable of shooting extremely high resolution. 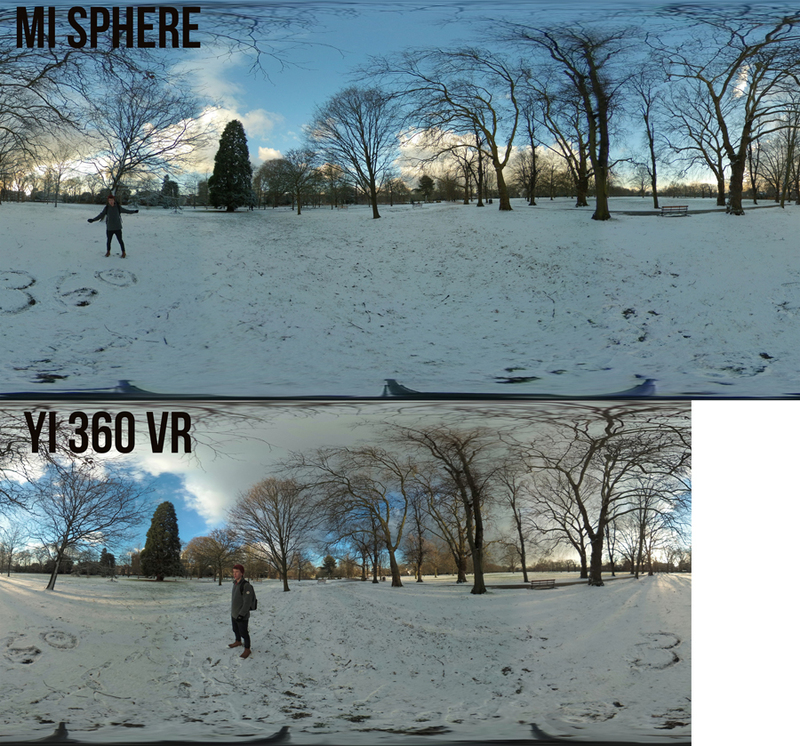 So the Yi 360 pretty clearly outclassed the Mi Sphere when it came to video, but photos are a different matter. The Yi 360 can shoot 18 megapixel photos, which is fairly average for a 360 camera. The photos look fairly good, but this resolution is not really enough to ensure sharpness, especially on larger screens. The Mi Sphere on the other hand can shoot 23 megapixel photos, has a HDR mode and can shoot RAW images. The resulting photos are amazingly clear and detailed, in fact the Mi Sphere is the best consumer 360 camera for photos and even rivals some DSLR’s in terms of quality. Check out these example images to see for youself. The Mi Sphere has a greater range of manual controls than the Yi 360 and it’s ability to shoot in RAW opens it up to much more editing options. The above image shows the difference in size between photos taken with each camera, and when it comes to 360 photos the larger the image size the better! Both the Mi Sphere and the Yi 360 perform reasonably well when moving however the Mi Sphere is able to keep the horizon level more accurately than the Mi Sphere. All in all I’d prefer to use the Mi Sphere while moving, however as long as you don’t change the orientation of the camera too much, the Yi 360 should also perform quite well. Livestream: The Yi 360 VR is capable of live-streaming in 4K, whereas the Mi Sphere can’t live stream at all. It’s pretty obvious who the winner in this department is. The Yi live-stream is very easy to set up and works either wirelessly or connected to a desktop. Battery: Both the Yi 360 VR and have a fairly average battery life, which should last around an hour of continuous usage. The main difference between the two is that the Yi 360 can function without its battery while plugged into a power supply; it can therefore record for a much longer period of time if required. Software: Both cameras come with a dedicated app and desktop software, both of which function quite well, however I have found one to be easier to use than the other. The Mi Sphere app is has ahuge number of options and manual controls, however it can often be slow to connect and lag between screen changed. The desktop app for the Mi Sphere is pretty useless but you don’t really need it to get the most out of the camera. 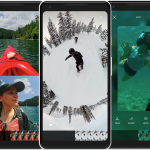 The Yi 360 app in comparison is much more reliable with slightly fewer options, and the desktop app has more editing features and is required to get the maximum quality video. Which is the better 360 camera, the Yi 360 VR or the Xiaomi Mijia Mi Sphere? It depends what you want to use it for. If you want to shoot 360 video then the Yi 360 is the better camera; but if you prefer photography, then you should choose the Mi Sphere. But what if you want to do both? As an all round 360 camera either would be a good choice, however it’s worth noting that the Yi 360 has a few more features, such as live-streaming and external power. If I had to choose between them I’d probably choose the Yi 360 VR, but it’s a tough choice and the Mi Sphere is a very good camera. The Mi Sphere is also half the price of the Yi 360, making it an astoundingly good value camera. Hello, what’s your opinion: is it hard work to do with tested Xiaomi Mi Sphere Camera as Google Local Guider? Do you recommend YI 360 or Mi Sphere? I am a Realtor so would be using it for home virtual tours, any other options that won’t break the bank? The stabilization is the sole reason I went with the Mi Sphere. I use it for sports, primarily SKIING and my past cameras all lacked stabilization. Well, technically the last one had stabilization BUT only at 1080p quality. At 4K it automatically shuts off stabilization (um…weird). Anyway I nknow the MiSphere isn’t true 4K but it still kick the a-…butts…of my other cameras so I guess the Yi, even with it’s better detail, would be a NO GO for me!